The trend of sit-stand consoles has been around for a few years now. With growing evidence to its benefits, it’s not hard to see why they are becoming increasingly popular in control rooms around the world. 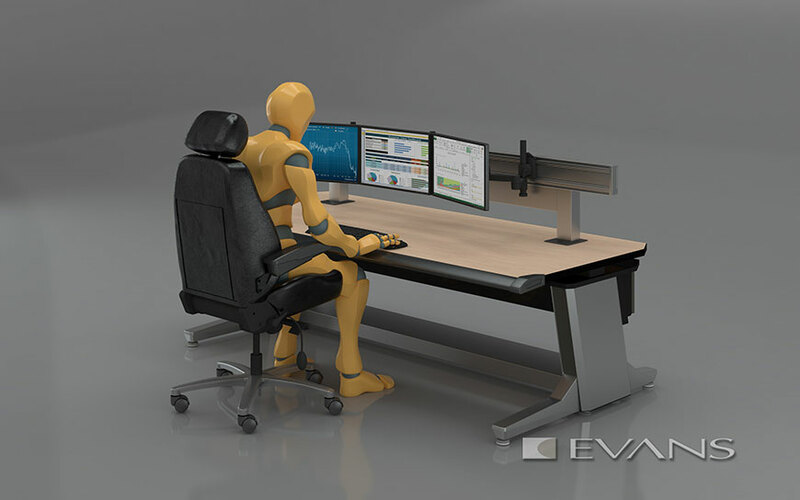 To summarize: sit-stand consoles allow operators to adjust the height to their preference for sitting or standing positions while they work. 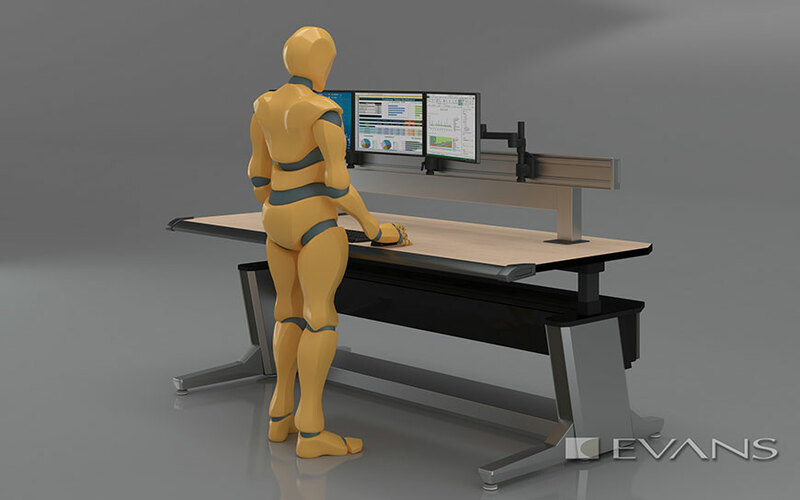 In some industries, the sit-stand functionality is still relatively new. Over the years, its technology has improved making it more desirable by operators, supervisors, and those in control room environments vs. office furniture. While the benefits of standing are great, it’s important to note that you should not stand for long periods either. Studies suggest that you should take a break from sitting every 30 minutes, and sit-stand consoles promote that health intermission. Standing enables operators to stretch out their spine allowing for a realignment of the frame. Alternating between sitting and standing is better for your back than just committing to one or the other. Early research suggests that for every 1-2 hours of sitting, you should try standing for 1 hour. It’s important to note that while standing is good for the body, it’s equally as important to have the console at the right height while standing. Elbows should be at a 90-degree angle resting on the desk and keyboard. Don’t forget to adjust your screen. A general rule of thumb is to have screens around 20-28 inches away from your face. Tilting the monitor upwards, so you are looking slightly down can also have a positive impact on the neck. For those not used to standing, the right mat can help with preventing back and foot pain. Often called anti-fatigue mats, they provide cushiness that is popular in situations where you’re standing for a significant period. A soft, supporting mat can reduce pain, and provide extra support to those who need it. Sit-stand consoles can provide a healthy break from sitting. Quick standing sessions throughout the day help promote a healthy work environment, which is paramount to those who sit for long shifts. It’s easy to see why something that started as a trend has now evolved into a heavily studied health benefit that many workplaces are adopting.